Bio matching healthy vaginal conditions makes sense for overall sexual health. 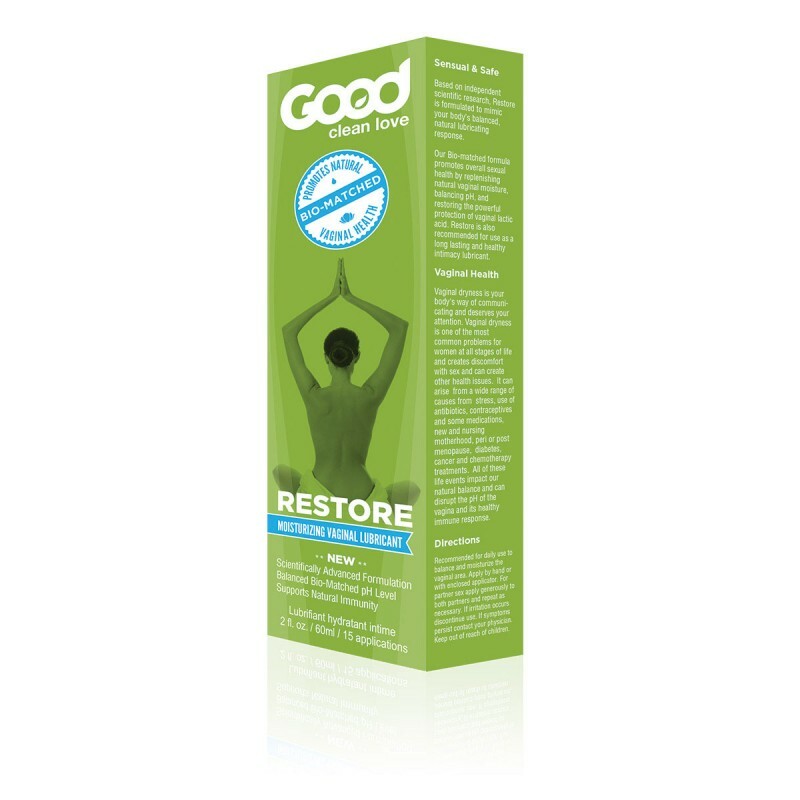 Based on independent scientific research, Restore and Balance are formulated to mimic the body's natural equilibrium with perfectly calibrated Ph levels, salt balance and the same type of beneficial lactic acid produced by healthy lactobacilli for a truly natural and healthy lubricating response. Packaged compact & complete with a hands-free applicator. Formulated under the guidance of independent scientific research, patented Restore™ Moisturizing Vaginal Gel mimics the body’s natural equilibrium with perfectly calibrated pH levels, salt balance, and the same type of beneficial lactic acid produced by healthy lactobacilli for a truly bio-matched, healthy lubricating response. Restore™ Moisturizing Vaginal Gel is an essential part of a pro-active daily feminine hygiene routine. Restore is a natural moisturizer which may help with vaginal dryness, itching, and odor and promotes health of maintenance of healthy vaginal flora.